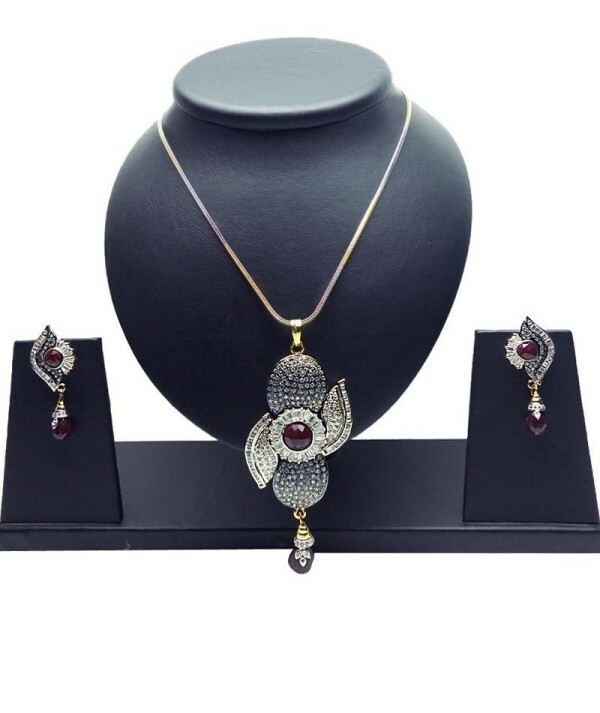 Feminine and trendy this white, maroon and gold pendant set will add a bright look to your face on the days of parties or other occasions. It is made up of cubic zirconia and brass along with two tone gold polish for added attraction. This light weight pendant set comprises of matching earrings also. You can also gift this pendant set to see a glimpse of happiness on her face.